If you are the 'Cromford Steam Rally' Two day Show organiser and you would like to update or amend the details shown, please contact us. Thank you. When is the next Cromford Steam Rally? Saturday 3rd to Sunday 4th August, 2019. Cromford Steam Rally is listed under August 2019 Shows. Although we try to keep the information for this event as up to date as possible, we cannot guarantee that things haven't changed at the last minute, and we haven't been informed. Therefore, please contact the 'Cromford Steam Rally' event holder directly to confirm all details (especially event name, dates and location) before setting off to Nr Matlock. 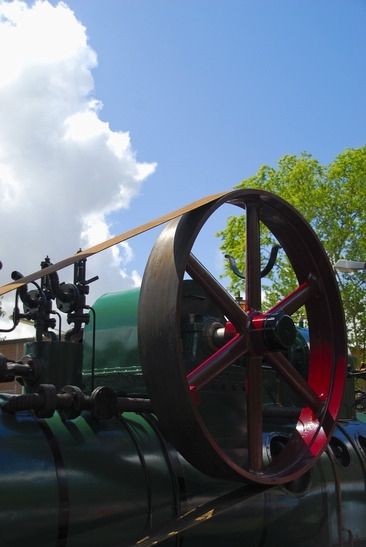 The Cromford Steam Rally is planned to take place at Highacres Farm, Dewey Lane, Brackenfield, Nr Matlock, Derbyshire, Saturday 3rd to Sunday 4th August, 2019. You may reach the event organisers on 07803 902 053. The car section at Cromford Steam Rally attracts a large number of enthusiasts each year with a good selection of vehicles. Some of the cars are a lot more common and easily recognisable than others, but all represent the many changes in the design and technology used by motor car manufacturers over the years. The cars are displayed by owners who enjoy the opportunity to let others see their vehicles and to talk about them. Car clubs such as the Morgan Car Club and the Jowett Car Club are well represented with a good selection of vehicles.The motorcycle world used to be dominated by the British bikes, then there were a number of European bikes and as time has passed, the Far Eastern mass-produced bikes have become very popular. Here at the rally are a wide variety of bikes exhibited, including Triumph, Norton, Raleigh, Yamaha, and Ducatti to name but a few.